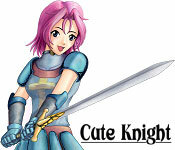 Cute Knight is rated 4.7 out of 5 by 9. Rated 5 out of 5 by Marysbouquets from Fun game This is one of my favorite games to play and re-play. I love the different storylines and outcomes that need to be found. My only wish is that they would make it for a Mac. Rated 5 out of 5 by pineapplesawrus from Fun, Addicting Game! This is quite the RP game if you're into anime and any Sims games. I love the storylines and the magnificent abundance of different character endings. You can't ask for more if you're looking for a game that demands you to take control of your "destiny" and make an ending for yourself (your character). Although the artwork is sloppy sometimes, they also put a lot of character depth into it which makes up for it. It is a fun and addicting game! You won't regret it! Rated 5 out of 5 by VegasFamous from Kinda like your own sim. I must say i wanted to cry my little head all the way off when my trial expired,Felt like i only played for 5 minutes. the only con to me is,once you know how to get everything up the game becomes very easy. (like charm,witt,ect.) the story line was i=quite interesting and the music when you worked was kinda funny. 5 stars for me. Rated 5 out of 5 by cmbohn from This Game Rocks! This is the cutest, most addictive fun game ever. I love it so much. I recommend for everyone who's dreamed of living in medieval times. It is so good. Rated 5 out of 5 by jessicacarter91 from Fun Adventure Game This game has a lot of different endings, so it has good replay value. That's why I like it. Rated 4 out of 5 by laurakay76 from Cute indeed! This game is adorable. I love that it's never the same game twice - you can make so many different choices about the life your character will lead that even if you get the same ending more than once, your path to that ending will change every time. It's a challenge to achieve all the different goals, and yet simple enough for all ages. I've unlocked six endings so far and I'm so interested to see the rest! It's a very absorbing game and a lot of fun. 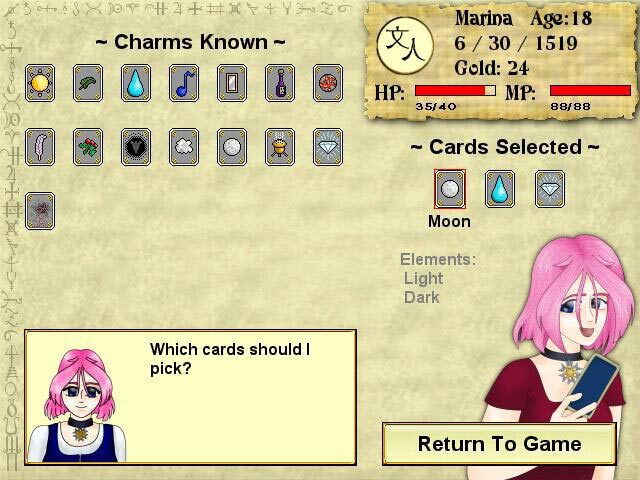 The graphics are a little old-school (the game dates from 2005), but still very cute and the music is also quite enjoyable. Overall, worth the asking price for sure! Rated 4 out of 5 by Pucktweety from Okay! I think this game can either be very easy or very challenging. 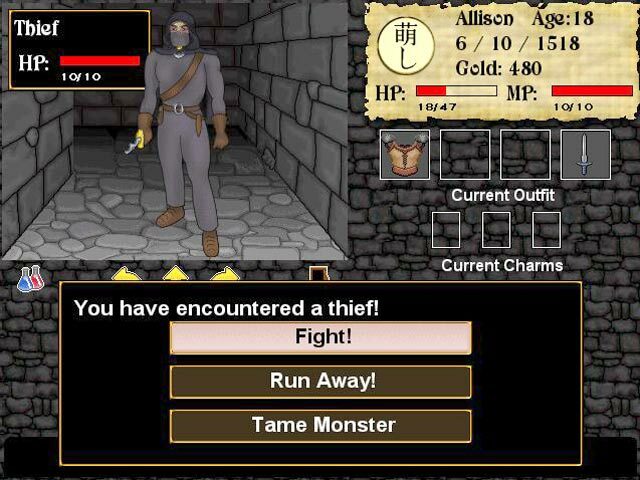 It's a game where you can pick a different route every single time and never do the same 'type' of game twice which gives it loads of potential to replay over and over again while following a different adventure every time. I have tried it a few times and as time goes on you do get much quicker at completing it, due to familiarity but it does get harder if you wish to really do well at the game. I find getting the 'best' outcome nearly impossible but I reckon it will just take a lot of practice. This isn't a game to be 'won' without one try. 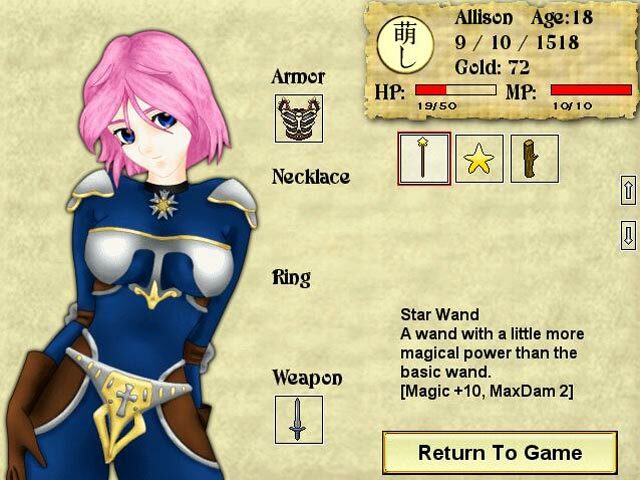 Rated 4 out of 5 by adolia from Cute adventure game This is a light adventure game. Not very challenging but has a lot of potential to replay. You choose a different path which will change the gameplay each time.